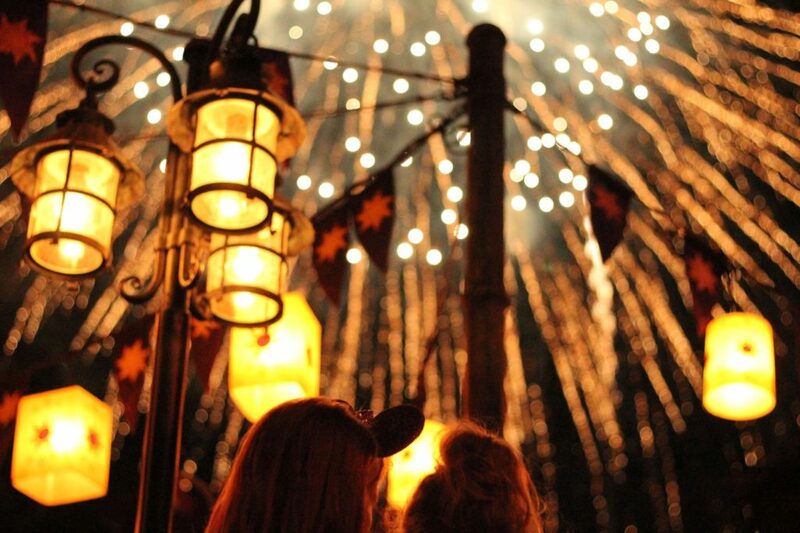 Fireworks are an essential part of any trip to Walt Disney World. 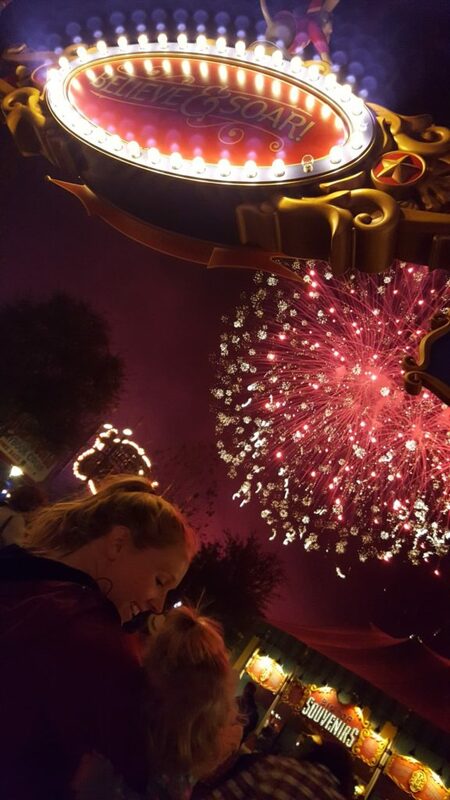 We make it a point to experience the fireworks from somewhere new every time we go to Magic Kingdom. Here are the best place to view Disney fireworks at Magic Kingdom. 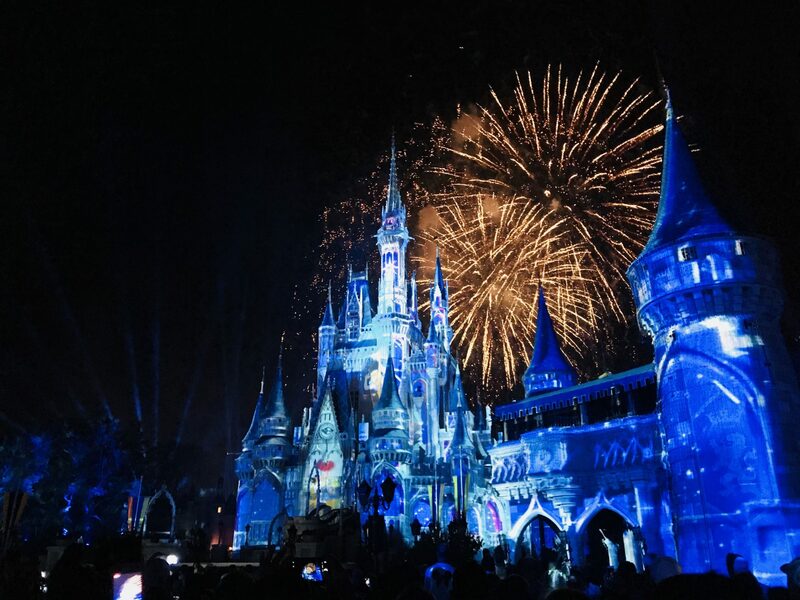 Happily Ever After has incredible projections on Cinderella’s Castle. Standing right up front really lets you appreciate the detail of the show. 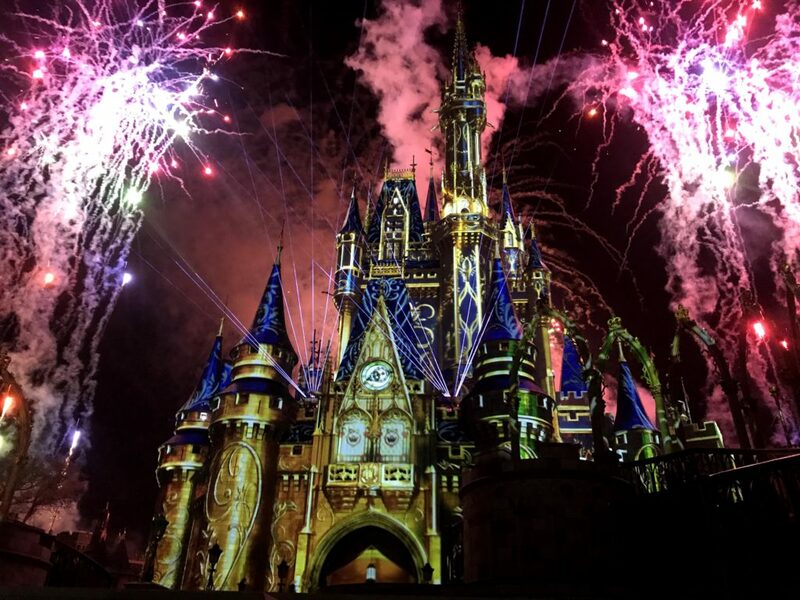 Most people watch Happily Ever After, the popular fireworks display at Magic Kingdom, in front of Cinderella’s Castle. While that is a great viewing place, and certainly one you should experience fireworks from at least once, it’s not without its pitfalls. Standing in front of Cinderella’s Castle for fireworks is CROWDED and usually means you’ll be saving your spot for up to an hour before the show even starts. It also takes a while to clear out after the show concludes so it can be hard to jump in line for any last minute attractions if the park is still open. Skip the crowds and check out these alternate viewing spots below. If you stand on the BACKSIDE of Cinderella’s Castle, the fireworks happen all around you instead of just off in the distance. The music plays throughout the park, so even if you’re not in front, you can still enjoy the show. There is more standing room back here and it’s a prime viewing spot if you want to jump in line right after to meet princesses or ride Peter Pan’s Flight with low wait times. 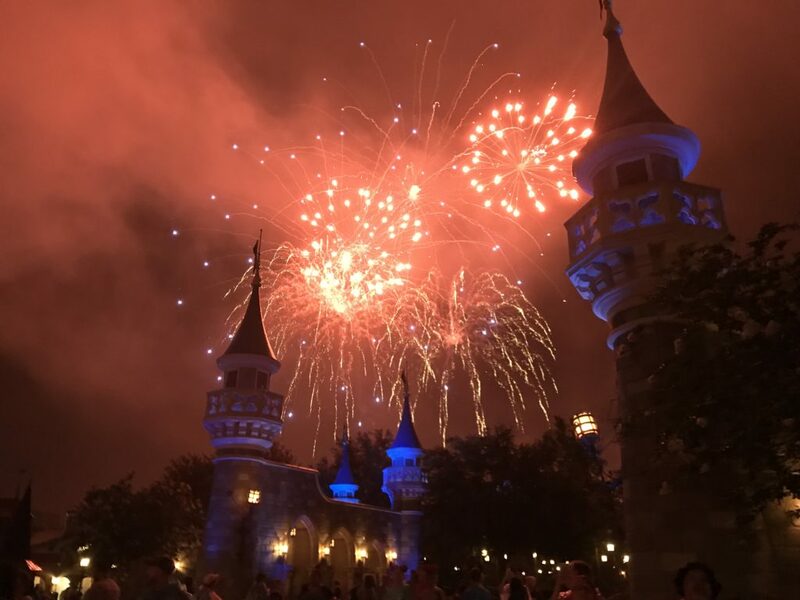 If you still want a castle view during fireworks, stand near the entrance to Be Our Guest Restaurant by Seven Dwarves Mine Train. You’re able to see the large fireworks perfectly set behind Beast’s castle. Sometimes you can even find a PhotoPass photographer in that area to grab a few photos during the show. Between It’s a Small World and Haunted Mansion is the Rapunzel bathrooms. Strung across the area are beautiful glowing lanterns. 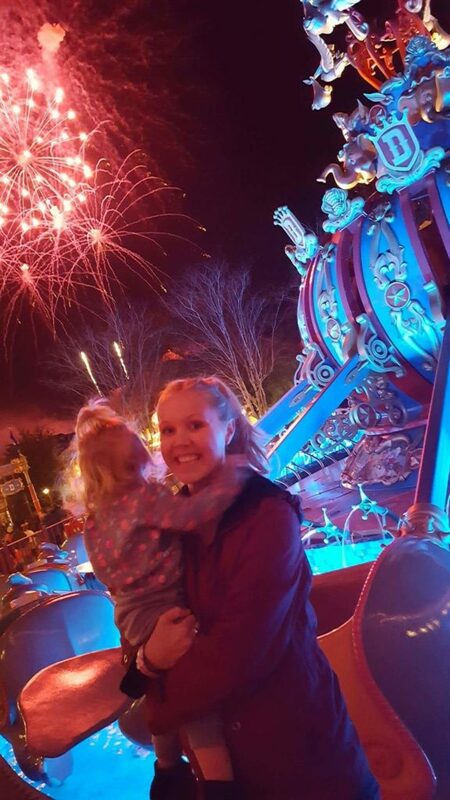 Standing right underneath the lanterns for fireworks makes for a magical experience. 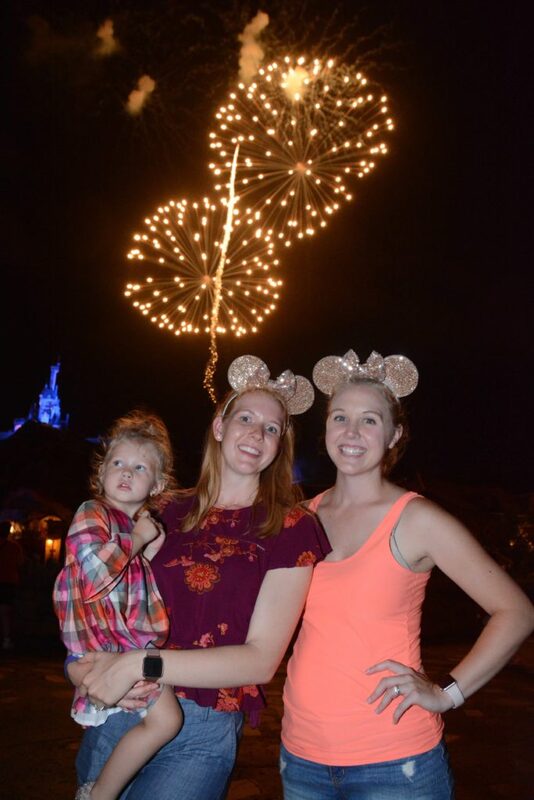 If you have perfect timing, you can also take a lantern PhotoPass photo with fireworks in the background. I love this spot because there are no trees to block your view. Near Under the Sea – Journey of the Little Mermaid, you have a great view of all large fireworks in a clear open sky. This is also the least crowded viewing spot of all. This happened completely by chance one night and is one of my favorite firework spots! Flying atop Dumbo while watching fireworks all around Magic Kingdom is pure Disney magic. Timing has to be JUST right. Plan to ride a couple minutes into the firework show for best viewing. In Tomorrowland, near the Monsters Inc Laugh Floor is the famous photo spot the “Purple Wall”. This also makes for a great view of the fireworks without being super crowded. We love standing here if we want to make a mad dash to Buzz Lightyear or Space Mountain near the end to take advantage of lower wait times. If you want to avoid crowds all together and skip the mass exodus that happens after fireworks (plan for at least an hour wait if you stay in the park for fireworks), hop on the Ferry boat at least 20 minutes before fireworks start. You can still hear the music, played through the speakers, and you can see a distant view of the castle and firework display. This is also a great way to watch fireworks if you have little ones who are scared of the booming sound.